Taylor Swift - Shake It Off, watch music videos from youtube for the song Taylor Swift - Shake It Off. The music video, directed by Mark Romanek, was released on August 18, 2014, the same day as the song's release. It was shot in June 2014, over three days in Los Angeles. According to Music Times, the video features Swift "embracing her inner dorky dancer by submerging herself with some of the world's best dancers in the styles of hip hop, lyrical, ballet, jazz and even cheerleader." The Guardian '​s Sean Michaels also noted the accompaniment of "twerkers" in the clip. "Shake It Off" music video also features Swift's fans, who had written fan letters or posted on Twitter and Instagram. Critics also noted references to Lady Gaga and Skrillex in the clip. 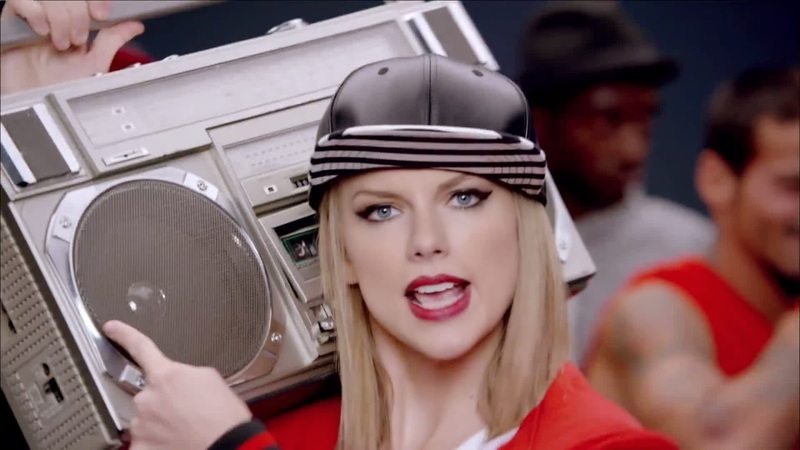 Hugh McIntyre from Forbes noted the references to Gaga, Skrillex, Fergie and Gwen Stefani in "Shake It Off" video, further writing that it is "quirky and hard to dislike." Analyzing the video, VH1 noticed resemblances to Beyoncé's "Mine" video. The video received mixed reviews from music critics. Brian Mansfield of the Chicago Sun-Times called the video "chirpy". Direct Lyrics provided a positive review saying the video is "certainly a fun one and it catches rather well the rebellious and care-free spirit of the new Taylor single." Fitzpatrick of The Guardian wrote: "The incongruent blend of modern dance, ballet, and breakdancing is fun, but the conceit falls flat." HitFix deemed the video "ill-timed" due to the current race relations debate around the Ferguson riots while Jezebel described it as a "cringe-worthy mess". The clip was additionally criticized for its reference to twerking, with "the scenes of her twerking and breakdancing (or trying to) takes signifiers of black culture and uses them as a form of entertainment or mockery". Writing for Salon, Prachi Gupta opined the video is "uncomfortable" explaining that "the image of Swift dressed as a caricature of a black woman is jarring." Gupta concluded: "if Swift wants to be a lasting pop star, her career will be served best not by imitation, but by creating something new." Romanek defended his work stating: "We simply choose styles of dance that we thought would be popular and amusing, and cast the best dancers that were presented to us without much regard to race or ethnicity". He also stated: "If you look at it carefully, it's a massively inclusive piece, it's very, very innocently and positively intentioned. And — let's remember — it's a satirical piece. It's playing with a whole range of music video tropes and cliches and stereotypes."